There are about 25 healing encounters in the Gospels, but Jesus only poses a question three times. Do you believe I am able to do this for you? God is able and willing to heal. So why are some people not healed? 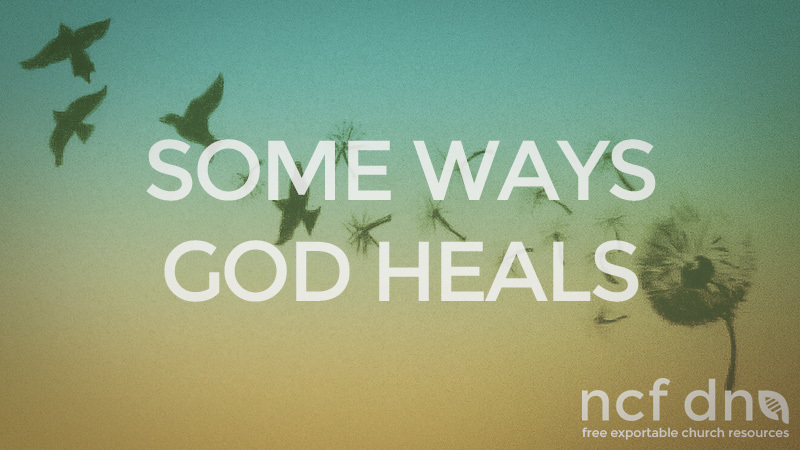 There are several accounts in the Bible that tell us about people who did not get better. Even Paul spoke about a “thorn in his side” that God did not remove although Paul asked Him to. Your theology needs to be big enough to deal with the fact that God may not heal you and you be okay with it. God may not always seem fair to us, but He is always right. although God is never the cause of our sin, He can use sin to bring us to repentance, He can use it to refine and humble us and to get our attention. God testing us – will we serve Him even when times are hard? The future reign of God’s kingdom has broken into the present, which enables us to live “comfortably uncomfortable” within the tension of this reality. When God’s kingdom has fully come, there will be no more sickness. God responds to faith. Pray with an expectation to see Healing but we cannot reduce it to a formula. We need to understand the power and limit of miracles. We can’t turn miracles into a miracle cure-all. We also cannot become causal or indifferent about healing, but hold God’s truth in tension. God is able and willing to heal but He is not obliged to do so. –staff notes by Nigel Day-Lewis; August 2015 (compiled by S. Mahabeer).